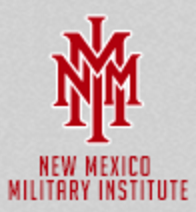 New Mexico Military Institute is unique because it is the only state-supported co-educational boarding military high school in the United States – schools for troubled youth and boarding high schools. 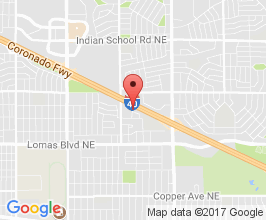 The New Mexico Military Institute is unique because it is the only state-supported co-educational boarding military high school in the United States. It is also a two-year junior college. Students range in grades from 9-14. Some who enter the school stay for the entire six-year program. Other students stay until they graduate from high school, then they move on to one of the nation’s five service academies. Some decide to go to traditional colleges. Nearly 95 percent of students go on to some type of college. All students leave ready to meet the challenges that lay ahead in college, in military service or in civilian employment. One thing that makes the New Mexico Military Institute different from other military schools is the close relationship they have fostered with all branches of the military services. Students are able to go from military prep school to any of the five service academies. They can also choose to enter military service through one of the voluntary early commissioning programs. Students enter a Corps of Cadets governed by a chain of command that is composed of students who have worked their way up through the chain of command. All students have opportunities to work their way up in rank as well, in a setting similar to the military. Army ROTC programs are an important feature of the school. The staff of the New Mexico Military Institute is chosen from only the most well-qualified instructors. All are committed to giving students an excellent academic foundation in a military structured environment. All administrators and faculty members have either PH.D’s or Master’s degrees and are well-known for excellence in teaching and in mentoring students. Classes are rigorous and challenging. Students SAT test scores consistently rank among the best in the nation. Physical fitness is very important and all students take part in programs to help to stay in good physical condition. The school’s mascot is the Bronco and its colors are scarlet and black. All cadets live within a system featuring an honor code that was adopted in 1921. The honor code states that “A cadet will not lie, cheat or steal, nor tolerate those that do.” This honor code was implemented in the 1920’s and is based on the honor code of West Point. The motto of the school is “Duty, Honor, Achievement.” The school’s focus is on producing graduates who have exceptional leadership abilities and stellar character. New Mexico Military Institute is accredited by the Association of Military Colleges And Schools Of The United States (AMCSUS) and the North Central Association Of Colleges And Schools. It has affiliations with many athletic associations and honor societies. The emphasis is on helping students to reach their full potential within a structured environment. Students thrive in an environment conducive to learning, academic success and excellence. Should you need help finding reform schools, troubled youth programs, and homes for troubled kids please let us know. Military schools offer structure, mentorship and a safe environment that limits distractions and temptations that can detract from academic and personal progress. Still, military schools are not always the right choice for every young person. While military schools offer structure, and academic and athletic discipline in a controlled environment, military schools are not intended to act as a rehabilitation program. Military schools want students who wish to prepare themselves for a future in a collegiate, military, or professional setting.